Friday marked the fourth month in which the United States has not conducted a drone strike in Pakistan, according to data collected by the non-partisan think tank New America. The last strike the United States conducted was on February 8, 2018 targeting a Haqqani compound in North Waziristan and killing Khan Said Mehsud, the deputy commander of the Pakistani Taliban. 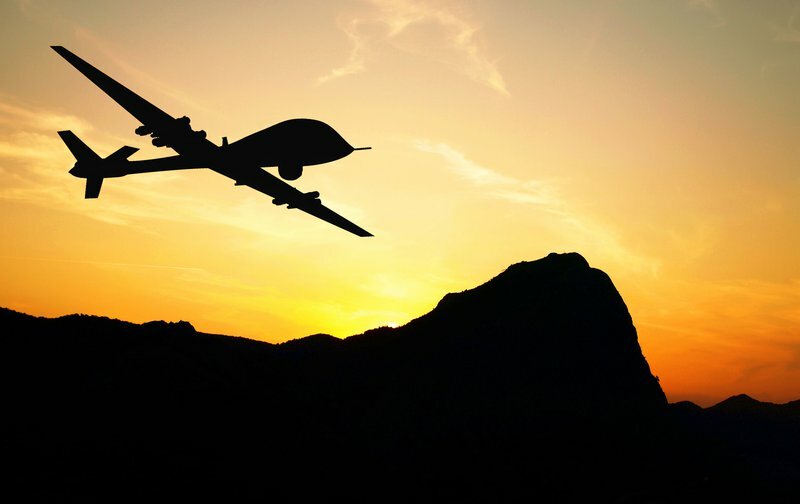 This four-month pause is the longest in the drone campaign in Pakistan since former President Barack Obama halted strikes for nine months following a May 21st, 2016, which killed Taliban emir Mullah Akhtar Mohammad Mansour in Pakistan’s Baluchistan province. President Trump ended that pause on March 2nd, 2017 with a strike in South Waziristan. Since restarting the drone campaign in Pakistan, Trump has maintained a low level of strikes similar to the last years of the Obama administration. In 2015 and 2016, the United States conducted 13 strikes. In 2017 and 2018 to date, the Trump administration has conducted 12 strikes. Though Trump could still escalate the war in Pakistan in second half of 2018, the rate of strikes remains far lower than the peak of the campaign in 2010, when the Obama administration conducted 122 strikes, according to New America’s research. The lack of a substantial escalation of the drone war in Pakistan stands as a clear contrast to the Trump administration’s policies regarding counterterrorism strikes in Somalia and Yemen, where the Trump administration radically escalated existing counterterrorism campaigns. On December 20, 2017, CENTCOM announced that it had conducted at least 120 counterterrorism strikes and multiple ground raids in Yemen in 2017 (New America was able to identify specific reporting regarding 48 counterterrorism operations in Yemen in 2017). This represented an unprecedented escalation with more than double the 56 strikes carried out in 2012, the previous peak year of the campaign, according to New America’s research. The Trump administration has continued strikes in Yemen in 2018 at a lower but still high pace with 32 operations so far in 2018, according to New America’s data. In an email to New America, CENTCOM stated it had conducted 28 strikes in Yemen in 2018 through early June. In Somalia, the Trump administration has carried out a similar escalation of the counterterrorism war. The United States conducted 34 counterterrorism operations in Somalia in 2017, according to New America’s research (though some occurred under Obama). As in Yemen, it was the highest number of operations over the course of the campaign and more than twice the number of operations in the previous peak year. So far in 2018, the United States has conducted 17 operations in Somalia. More than half of all U.S. counterterrorism operations in Somalia over the 15 years of the campaign occurred under the Trump administration. Similarly, more people – including both militants and civilians - were killed in Somalia under Trump in one and a half years than were killed under either the full eight years of the Obama administration or the full eight years of the Bush administration. Given the scale of the escalation in Yemen and Somalia, it can be tempting for commentators to lay responsibility for the escalation at Trump’s feet. The President, of course, maintains final responsibility for America’s drone wars, and Trump has repeatedly made comments that suggest he seeks a radical escalation. During the 2016 presidential campaign he suggested the military should target terrorists’ families. According to a report by the Washington Post, Trump asked, while watching pre-recorded video of a drone strike, why the CIA waited for a target to move away from a house where his family was before firing. Yet the difference between the unprecedented scale of the escalations in Yemen and Somalia and the relative lack of escalation in Pakistan emphasizes the importance of factors beyond the whims of the President in shaping America’s drone campaigns. In Pakistan, on-the-ground conditions have combined to reduce the perceived need for strikes. At the peak of the drone war in Pakistan in 2010, the United States had around 100,000 soldiers in Afghanistan, while today the United States has about 15,000 soldiers there, reducing the need to conduct "force protection" strikes. Further reducing the need for strikes, Pakistan mounted a major military operation in its Northwest, driving many militants into Afghanistan while killing others, thus reducing the number of targets requiring American strikes in Pakistan. Finally, though not fully destroyed, al Qaeda’s network in Pakistan has been decimated, and many of those who survived relocated to Syria and the Middle East where al Qaeda’ prospects were stronger. In contrast, al Shabaab, al Qaeda’s affiliate in Somalia, maintains a fighting force of several thousand fighters, poses a resilient insurgent threat, and is believed to have killed more than 500 people in a truck bombing in Mogadishu in October 2017, though the group did not claim responsibility for the attack. The counterterrorism wars in Yemen and Somalia were already escalating as a result of these threats – although not to the same extent – in the last years of the Obama administration, according to New America’s data. A full assessment of the strategic wisdom and reckoning with the death toll of escalating American counterterrorism strikes will require addressing Trump’s particular role, but even more so it will require a frank and open discussion of what the United States seeks to accomplish with its counterterrorism wars and whether it can do so regardless of who holds the presidency.